With the world dynamics changing and global boundaries shrinking, traditional systems are rapidly changing to adopt new ways in tune with the times.The education sectoris undergoing a transformation too. A new revolutionary teaching methodology called the STEM education is gaining prominence. This is a trans-disciplinary method of learning, which integrates all the core subjects together. A STEM education inspired curriculum gives rise to exploratory learning and a problem-solving approach that in turn churns out future innovators, creators, critical thinkers, scientists and collaborators. A student’s take on learning takes an entirely different level of understanding when done with an integrated approach. It increases their exposure far beyond the textbooks, involves them in productive collaboration and brings them closer to the real world. According to Census 2011 data, India has the largest student body in the world at 315 million. Still, when the educated youth enter the real world they are not well-equipped to meet the required skills and demands of the corporate world. It is very telling on the Indian education system that not even 1% of students pursuing higher studies choose research-oriented courses. The lack of recognition of research conducted by many promising students (both at the school level and college level), in India, drives this young talent to look for opportunities on foreign shores. This, of course makes India vulnerable to a talent drain in the future. A significant solution to tackle this crisis is to implement a very comprehensive STEM integrated curriculum in the school and college classrooms. 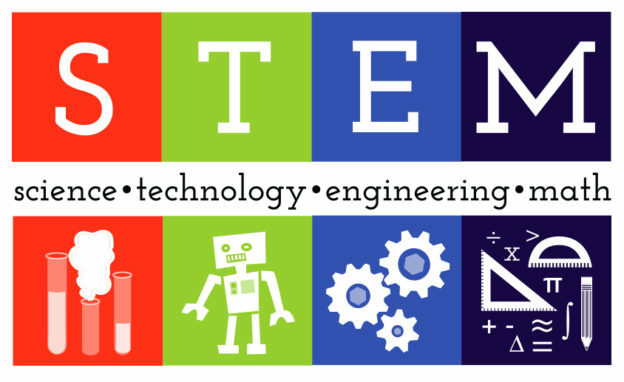 STEM aims to lessen the gap between contextual and rote based learning, and replace it with a practical approach, which will equip the children with the skills and knowledge needed to get lucrative opportunities in their fields of interest. This of course needs to be further augmented by facilitating the partnership between individuals, corporates and educational institutions to create special programmes for educational and research projects. Some institutes in India are doing their bit in promoting STEMeducation—last year, Academy of India announced that it will open 100 STEM schools over the next 10 years across different cities of India. STEM education in India hasn’t bloomed to its full potential owing to the following challenges. There is a lack of clear cut guidelines and standards on STEM, thus the concept is open to interpretation and this makes its scalability a practical issue. STEM relies heavily on technology. But, a majority of schools and colleges don’t use technology enabled education due to lack of funds and infrastructure, leading to implementation issues. There is a huge dearth of well-qualified STEM teachers. There is a general resistance in educators to adopt and adapt to newer ways – those who have years of experience behind them are reluctant to acknowledge that they need to ‘relearn’ how to teach. There is a lack of cohesion between facilitators and lawmakers with respect to STEM education. The industry requirement for jobs in STEM fields outweighs the supply of skilled manpower. Women are not represented well in STEM jobs. There is a gender bias that clearly needs to be addressed. The role of a teacher in an education system is undoubtedly the most significant factor. For any teaching methodology to be implemented, the teacher, who is the end facilitator, should be well qualified and skilled to make the changes happen efficiently. This holds true even for STEM education. However, here it is also a collaborative and structured effort by different teachers working together to make this interdisciplinary approach a success. The role of teachers in STEM education is a complex one, one that makes them risk takers, collaborators, learners when needed, inquirers and curriculum designers. They need to adapt and readapt, thus leading the path to innovation by example. A learning environment that engages students in classrooms in a more active and collaborative way is the crux of STEM education.Most schools at the K-12 level have some form of STEM programs. It is impossible to deny that practical application and the future employment possibilities are greater with STEM education. Hence STEM programs are here to stay in spite of the challenges that they face. STEM education, in the coming days, will be more of a natural partnership of schools, colleges, universities and industries, bringing real demand closer to the supply of matching skills. Director – Learning Paths School, Mohali. The author can be reached at raggarwal@gmail.com.